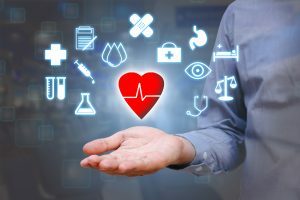 One thing is for certain, it doesn’t take much walking around the recently held HIMSS 2019 conference in Orlando, FL to see the main drivers of the healthcare in today’s age. Interoperability had to be the biggest talking point for payers, providers, and other health-focused companies like Biotech and Life Science companies. While interoperability sounds incredibly complex, it really just means integration of medical platforms and services. As we have already been doing this for years in Retail, Banking, Industrial, Logistics, etc., it is almost baffling that we are even discussing this. The real question is why has interoperability taken so long to build importance in the medical industries? The answer is not a highly complex one, but it comes from a deeper modus operandi often found in Healthcare. Let’s take for example a very ubiquitous technology like Cloud. Almost every business has some sort of Cloud usage and has been utilizing it for almost a decade now. However, healthcare companies have only just began scratching the surface of their own utilization of this common technology. Why is that you might ask? Well, to be honest, the industry is very risk adverse and they have good reason to be. The thought of storing healthcare record data “next to” photos your 12 year old niece is uploading to Instagram would keep any data security officer up at night. 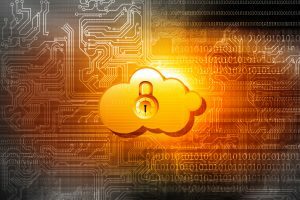 While that is a crude summation and underestimation of Cloud storage capabilities and practices, the fact remains, is patient data going to be safe and secure in a public Cloud like Azure, AWS or Google Cloud? While nothing is guaranteed, these companies have worked hard over the last few years to become HIPAA compliant and evermore secure in their storage. The truth is, these massive companies will do a much better job at securing, patching and defending your data than most IT teams. Yet, healthcare companies are just recently coming around to the idea. The main hinderance of innovation is due to one key fact, exposing your customers data as a healthcare organization can be financially and reputationally crippling. EHR records have only recently started being migrated to private and public clouds in the recent year. Comfortability factor plays a huge role in the medical space where compliance is king. At this point, you might be asking yourself why are we talking about Cloud when this article is titled “Interoperability and IoT”? That’s a good question. The reason I am talking about cloud is the same reason I am talking about interoperability, also known as integration of medical systems. Neither of them are new concepts to vast majorities of the enterprise world, but they are both still a hot topic for payers and providers. Integrating hospitals systems was daunting and a risky task, just like moving to the cloud. Exposing their data could mean the end of that organization and the risks just have until recently never outweighed the benefits. 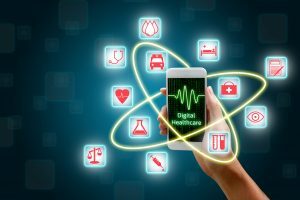 With current encryption techniques and security architectures, healthcare companies have started to move in both of these directions. Interoperability is huge for the medical field, looking to save it billions of dollars in optimization, compliance, patient recidivism, misdiagnosis, misinformation, and many other areas. When systems talk to each other and the data can pass with relative ease, it ensures that individuals are being provided the right care with up-to-date data. Not only is this better for the patients, but it is better for the enterprises that care for them. With EMR/EHR systems speaking with practice management software and pushing further info to the patient portal, scheduling, billing, and prescribing platforms, the ability to streamline and automate is upon us. Mistakes will diminish greatly and the level of patient care will only go up. It will also leave medical professionals more time to spend time on people not paperwork. We are coming into the age of remote robotic surgery, IoT enabled biotechnology devices, and fully connected hospitals. Integration and interoperability will play a huge role the next healthcare revolution and hopefully fix some of the mess we have here in the US. The costs for integration and security will be high, but the benefits will far exceed any cost in software development or SaaS subscriptions. As long it is done correctly, the value will be immense across the board. Now we come to my favorite part….Internet of Things, or in the medical field, Internet of Medical Things. IoT is the next step for the further evolution of interoperability. While all of this interoperability is incredible, it is constrained. By being limited to only collecting and passing data inside the institutions or their affiliates premises, they miss out on valuable data happening in the real world. 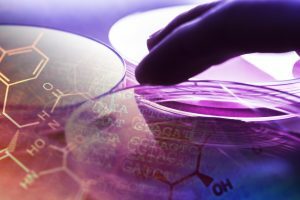 This blind spot can now be filled with bio-sensing devices and other health promoting sensors that will help to fill in the gaps that recently existed for ever in the medical field. Today post-acute patients can be monitored remotely enabling people to spend more time at home than in the hospital. When there is an issue, both doctors and patients will know quickly through these devices than ever before. The moment an issue is detected the patient can head back to the hospital to seek treatment. False alarms, on the other hand, will be diagnosed remotely saving strain on the hospitals resources and personnel. Both provide extensive benefits to both the patients and the providers, along with created troves of health data. The key is to get the full picture of a patient’s health. Something like a skewed heart rate reading caused from a slight case of Nosocomephobia (fear of hospitals) now can be corrected by taking readings outside of the ‘stressor’ in the comfort of their home. This will help in determining whether the elevated levels are nervousness or are a chronic issue doctors should be watched more closely. The goal is to get an holistic view of the patient, not just collecting data during the times they reside within the confines of the hospital. To round out the patient journey and truly make healthcare seamless, both interoperability and IoT must come together to revolutionize the hospital and home experience for patients. IoT should enable both the transmission of data within the hospital as well as in between hospital visits. Once a baseline reading can be taken over long periods of time and in areas the patient feels comfortable, understanding their overall health and habits will enable a true diagnosis. As we move into the next evolution of connected health care, the opportunities for improving our system will continue to emerge. With the right integrations and the accompaniment of IoT sensors for both bio-sensing and optimization within hospitals, we will see a reduction in costs and an increase in patient satisfaction. 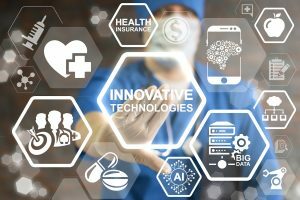 Over the next ten years, what we know now as the healthcare system will look entirely different through the adaptation of these technologies. 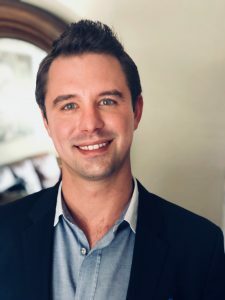 By Cameron Starman, Director of Client Management @ Clovity, March 1st, 2019. Follow Cameron on LinkedIn or Twitter!